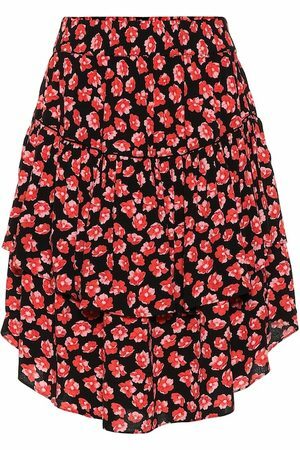 Black floral pattern smock skirt from Ganni featuring a high rise, a ruched design, a short length and stitching details. Blakely Silk Skirt in Animal Print,Neutral. Printed Georgette Skirt in ,Floral.